A one-time low investment will give you the opportunity to get started with a successful children's edutainment business in your own exclusive territory, supported in every way by e² Young Engineers®. We'd like people to think differently about how companies can be built and how information and products should be distributed. Built as a membership-based cooperative, E.A. Brevita Cooperative Association lives by the guiding principle, "Our members' best interests will drive every decision we make." Essentially, we've turned the franchise concept inside out. Where franchises benefit the franchisor, as a cooperative, we drive profits first to the individual business owners. Eaglerider Motorcycle Rental is the largest motorcycle tourism company in the world specializing in rentals of motorcycles, ATVs, dirt bikes, scooters, snowmobiles and watercraft. Eaglerider understands the needs of motorcycle enthusiasts and adventure travelers. That’s why Eaglerider offers a huge selection of perfectly maintained Harley Davidson, Honda and BMW motorcycles, and allows one-way rentals or guided tours between franchise rental facilities located in the most desirable tourist destinations in the world. Since it began with four Harley Davidson motorcycles, Eaglerider has pioneered the motorcycle rental industry. Eagle's Nest Homes, Inc. is a manufacturer of quality panelized homes and commercial buildings. Working with Representatives nationally and internationally since 1983, we can offer a volume of testimonials demonstrating that customers who utilize our panelization process, while working with a local builder can show a difference of cost vs. appraisal up to 25% - A cost of $110,000 produced a $145,000 appraisal. 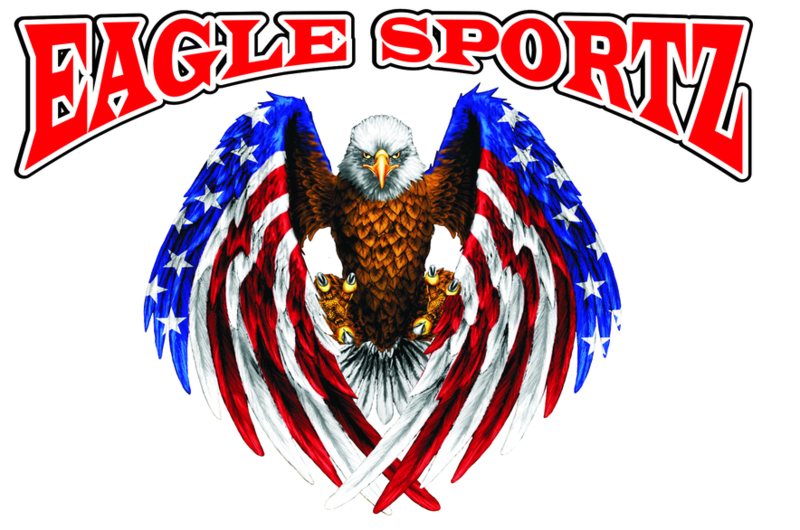 Eagle Sportz is a full-time screen-printing, embroidery, promotional products, digital sign and banner shop that specializes in on-site printing of event souvenir merchandise to commemorate and promote organizations and/or events. Eagle Sportz uses creative solutions and quick turn around times for custom imprinting. ”The One to Trust”, is more than just a saying. It is in-fact a principle whereby we, at Eagle Transmission, conduct our business. We know that you have a choice, and we strive every day on each repair to provide top notch professional service. We build transmissions to last. Our proven track record in service and customer satisfaction are a big contributor to our success in becoming one of the largest and most successful transmission franchise operations in the state of Texas. We'd like to believe that there is a good reason why our business has so much repeat and referral customer business. Earth Graphics is the nation's first Landscape Design and Digital Imaging Franchise. Our primary objective is to provide clients with same day landscape designs and digital images produced from a high profile mobile office platform. Earth Graphics is a landscape design – marketing and productivity – system. It builds around a marketing system that has been proven effective in creating a large client base. In addition, the productivity system enables the designer to create accurate and fulfilling designs in a custom format. The designs are supported by a computer digital imaging system which allows the client to view the "finished" landscape in a color photograph during the same visit. Since the designer has to go to the site only one time (spending either a half or whole day on site) a great deal of wasted time is avoided in the design process. EarthWise Pet Supply offers a unique pet store experience where education, nutrition, and atmosphere come together in the perfect combination. EarthWise offers franchise owners strong growth potential, a flexible franchise model, relatively low investment, and unparalleled support. Ease E-Waste is a company dedicated to properly disposing of its customers’ electronic waste. Emphasizing its customer service, excellent security, and rigid adherence to all legal standards, Ease E-Waste promises prompt pick-up of all items, even offering a 100% satisfaction guarantee. Ease E-Waste fetches individual and companies’ used electronic goods like computers, laptops, printers, cell phones, scanners, monitors, hard drives, servers, and other audio/video equipment. Left in landfills, these types of items leak metals like mercury and lead into the water supply. Thankfully, most of these metals can be recycled to make new electronic products, thus reducing the need to mine natural resources. East Coast Wings & Grill is a casual dining full service and counter service restaurant with an emphasis of buffalo style wings. East Coast Wings was originally founded in 1995. In 2000, Steve G. Kontos bought the concept, and in 2002, Sam G. Ballas joined with him, and re-organized it to what today's patrons know as "East Coast Wings & Grill". With their 46 years of combined restaurant experience, East Coast Wings & Grill has become a local favorite in all markets the brand has ntered. Their brand has a diversified menu: with their overstuffed sandwiches, super salads, deli style specialties and taste-tempting appetizers. Unique to East Coast Wings & Grill is their over 75 different flavors and 675 combinations of wings. Their infamous Buffalo Shrimp, which is available in their 75 flavors, 9 heat indexes and 675 combinations, has quickly become the next best thing to their famous wings. EasyChair Media offers a comprehensive approach to custom publishing and marketing solutions, combining state-of-the-art graphic design and engaging rich media elements with relevant, impactful and effective content to ensure that customers’ brands stand out from the crowd. Whether it’s in print or web format, for social media or digital use, EasyChair Media offers the solutions to every publishing need. EasyChair Media knows how to get the results its customers need to grow their business, and offers a long list of services to get them there, including copywriting, photography, video, email marketing, newsletters press releases, market research, sales and marketing plans, graphic design, branding, advertising campaigns, direct mail, collateral materials, social media marketing, blog writing and management, and sponsorship and list acquisition. EasyInternetcafe is a chain of internet cafes in cities throughout the world. EasyInternetcafe is the largest brand of internet cafes in the world, and has notably dominated New York and London. 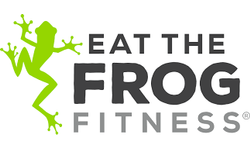 Eat The Frog Fitness is a new small group boutique fitness training concept born from decades of elite, science-based athletic training and expert knowledge of the fitness industry. Eat The Frog Fitness AI approach to personalized prescriptions along with continued evaluations and allowing for individuals to work out on their schedules is unique. There are ground breaking opportunities for Area Representatives and franchises throughout the US and in Canada. eAuction-Depot has grown 800% in franchise sales the 4th quarter of 2006 and is poised to open 75-100 stores in 2007. We work with our franchisees one step at a time to help them understand the basics of the $34 billion eBay Industry: Efficiently researching, photographing, describing, and posting your customer's valuables in an eBay auction. We excel in providing a much higher level of service and value in your "Store In A Box" turn-key system. We live by our Golden Rule, "Have fun, make money, live your dreams." eAuction Traders opened its first store in Rochester, New York and it was an immediate success. As a result, eAuction Traders has quickly expanded and is working to help other people leverage an opportunity that has proven to be so successful to our CEO, Stuart Dizak. Mr. Dizak has over twenty years of success in franchising and has appeared before Congress on behalf of franchisees. As an eBay Powerseller, eAuction Traders has become a recognized leader in the fast-growing industry of auction trading. Our commitment to working with our affiliates is an integral part of our success. Enjoy greater profitability, one-on-one support, and complete turnkey operations. Half of all Americans have high-speed broadband available to them, and the internet is increasingly used to find critical information on products and services. Yet, nearly half of all business do not have a website, and for most of those that do, their websites are so poorly designed that they provide little or no benefit to the companies. As an eBiz Internet Marketing Consultant, you’ll have all the tools you need to help these businesses grow. When you become a trained eBiz Internet Marketing Consultant, all you do is meet with clients to gather basic information about their business. Specialty Coffee is the fastest growing franchise segment in America. Specialty coffee is big money, and now you too can cash in your very own business! At Eccellente Gourmet Coffee, we've created a simple, inexpensive and practical franchise program so technologically sophisticated, it virtually eliminates all competition. We've chosen the Procter & Gamble Company Folgers division to support this explosive Franchise program due to their impeccable reputation for customer satisfaction, quality products, and most importantly because it is one of the most recognized Name brand in the world. Procter & Gamble's track record with over 180 years of excellence in Consumer Products, Food and Coffee industry is unsurpassed. eCommercials is a World Leader In Internet Video. We help businesses and non-profits use the power of video to communicate with their clients. Our revolutionary video player allows anyone on the internet to see your video. We sell our services exclusively through our independent network of Affiliates. E-Com Solutions is a product sourcing and inventory management software developed by Jason ONeil in 2015. E-Com Solutions users generated over $48M in sales in 2016 due to integration with the Amazon.com 3rd party sellers marketplace.